Welcome to the Color of the Week Project. Here is the color for the week beginning April 18th, 2016. LEARN: You can learn about Treeline and its meaning- see the picture and letter below. 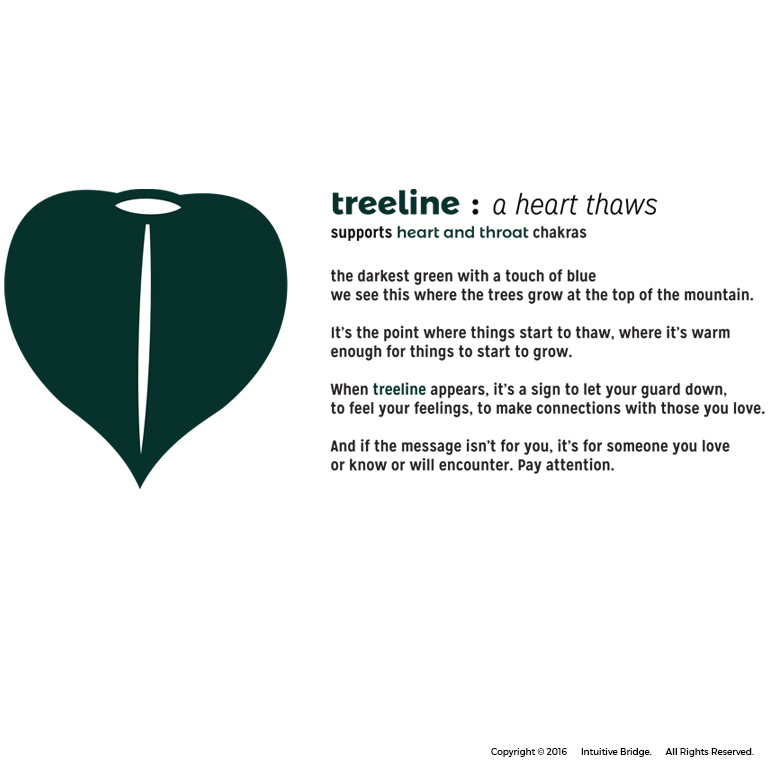 LOOK: You can look for Treeline in your everyday life to remember that a heart thaws. SAVE: Right-click the picture, save the image and put it on your phone or tablet. 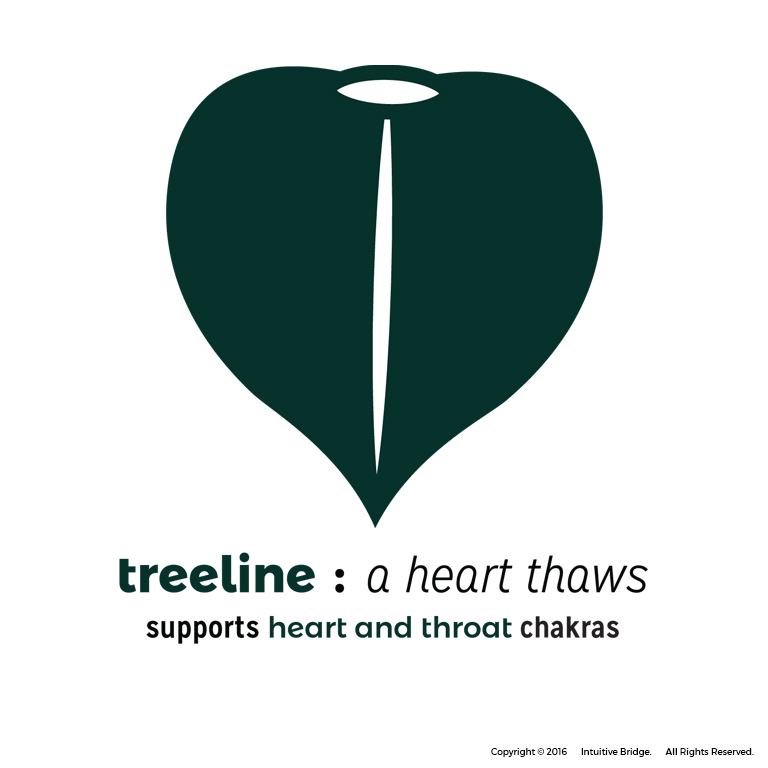 WEAR: You can wear the color Treeline to support the heart and throat chakras and to remind you of the thawing heart. SHARE: When you see the color- Treeline- take a picture and share it onInstagram, or on the Intuitive Bridge Facebook Page. The instagram hashtags are #treeline and #IBcolor. Out here, in the West, we have hot springs- places in the river where volcanic heat escapes from the deep. Sitting in the mineral water, you can feel every muscle go limp. The warmth invades your bones. It feels like you’re turning into the best kind of liquid. Worries go away, and words with them. Your heart chakra feels this way when you are safe and connected. Your heart is fully thawed when it is safe to feel. It’s no secret that much of the time, we don’t feel safe or particularly connected. It can get so bad that our hearts freeze. Energetically, this means that our heart chakra goes dormant, the coals are banked for a future time. A frozen heart is a preserved heart. It’s a way to stay preserved for a future time when it will be safe to be your feeling self again. I hesitate to say that it’s bad to have a frozen heart. I will say that it is not in our nature to stay frozen. When it is time to thaw, it hurts. Have you ever lived somewhere cold, and had your fingers freeze? Then you go inside and they thaw out- the blood reconnects and it smarts like hell. Treeline- this deep green with a touch of blue- we see this color in the trees by the top of the mountain, where it’s just warm enough for something to grow. When you see this color in your world, a heart is thawing. It may be your own heart. Or the heart of a friend. Or a stranger. You will encounter a heart thawing. And when you do, be gentle with that heart. PS- I’d love to hear about your experience! Feel free to send me an email- just click on my name. The world around us is full of color. Every color has a meaning. And any color can be a message to us, helping us engage with the world, feel better, and do better. 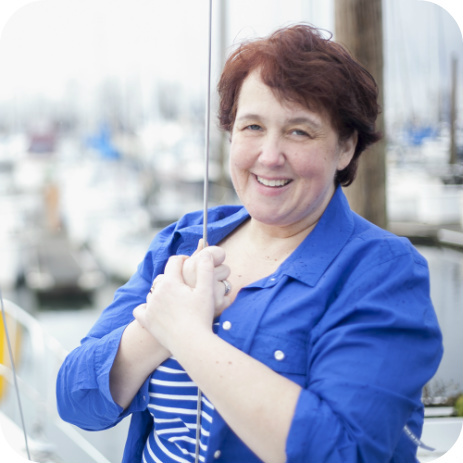 Each Monday, in the Color of the Week newsletter, I share a color and its meaning. I also write about the chakras each particular color supports. As we find ourselves paying attention to color, we find a deep connection to the world around us. That’s my hope. Get the Color of the Week Newsletter!